The Hunger Games by Suzanne Collins My theory is that the writers of The Walking Dead drew inspiration directly from Katniss Everdeen when creating Carol (who was dead looooong ago in the comics). Both characters start their stories as one of the weakest members of a group. Katniss was ranked highly by the judges but going into the 74th Hunger Games she still wasn’t expected to survive, and in the first season of The Walking Dead Carol was a battered housewife, reliant on her abusive husband and completely lacking in survival skills. Both women experienced loss and struggled to adapt to their new hostile environments before gaining in strength, cunning and leadership abilities. Running Wild by JG Ballard One of Carol’s greatest strengths (and the reason she’s survived so long) is that she spots danger on average half a season before the rest of her group. Back when farmer Rick was feeding the pigs and pretending that the Governor wasn’t a threat, Carol was in the library showing children how to decapitate zombies. This acknowledgement of children’s capacity for violence is why Ballard’s Running Wild is perfect for Carol. Set in the Utopian, gated village of Pangbourne, Running Wild is about adults trying to come to terms with a group of children who may or may not have committed mass murder. The Handmaid’s Tale by Margaret Atwood and The Poisonwood Bible by Barbara Kingsolver Yes, Carol is loyal to Rick’s group and was devastated when he banished her. But as previously mentioned she’s very quick to pick up on potential dangers and these two books will play on her fears and prepared her for the possibility of a post-Rick world. The Handmaid’s Tale presents the reader with a world in which women are valued only for their fertility. 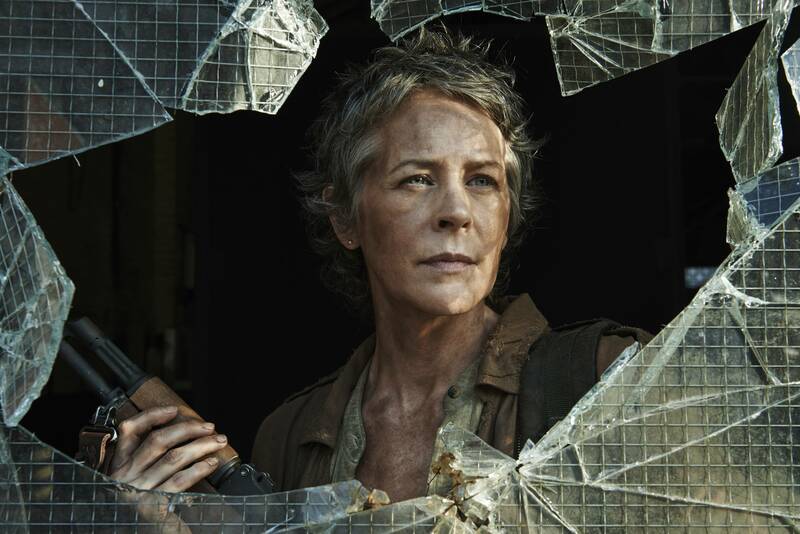 Although Carol doesn’t mind pretending to still be weak and helpless if it gives her the upper hand (see her masterful performance in Alexandria) she’s still alert to the ways women can be exploited by men, especially in a post-apocalyptic world. The Poisonwood Bible, meanwhile, features a group of trusting women struggling to survive in the wilderness, led by a domineering patriarch. After her husband, The Governor, and Rick, Carol will appreciate this grim reminder that blindly following one man’s vision seldom ends well. How Stella Got Her Groove Back by Terry McMillan Carol is all about survival and that’s why we love her but she should probably seek out some down time as well. How Stella Got Her Groove Back is the story of Stella Payne, a 40+ divorcée and mother of 11 year old Quincy. Happy to put aside her own chances of finding love for the sake of her son and the life they’re building together, Payne’s world changes when she goes on holiday to Jamaica and falls in love with a man half her age. Not that I’m trying to set Carol up for a Caryl resolution. But srsly, this is the slowest moving love story ever (don’t question my shipping, I will physically fight for Carol and Daryl to get it on) and maybe she needs some inspiration?